"…there is critical need for a book to summarize the status of the field but more importantly to lay out the principles behind the technology. This is what Professor Arvind Agarwal and his co-workers … have done here." 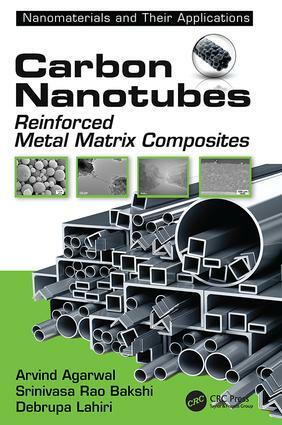 Carbon Nanotubes: Reinforced Metal Matrix Composites reflects the authors’ desire to share the benefits of nanotechnology with the masses by developing metal matrix carbon nanotube (MM-CNT) composites for large-scale applications. Multiwall carbon nanotubes can now be produced on a large scale and at a significantly reduced cost. The book explores potential applications and applies the author’s own research to highlight critical developmental issues for different MM-CNT composites—and then outline novel solutions. Carbon Nanotubes: Reinforced Metal Matrix Composites paints a vivid picture of scientific and application achievements in this field. Exploring the mechanisms through which CNTs are enhancing the properties of different metal-based composites, the authors provide a roadmap to help researchers develop MM-CNT composites and choose potential materials for use in emerging areas of technology.